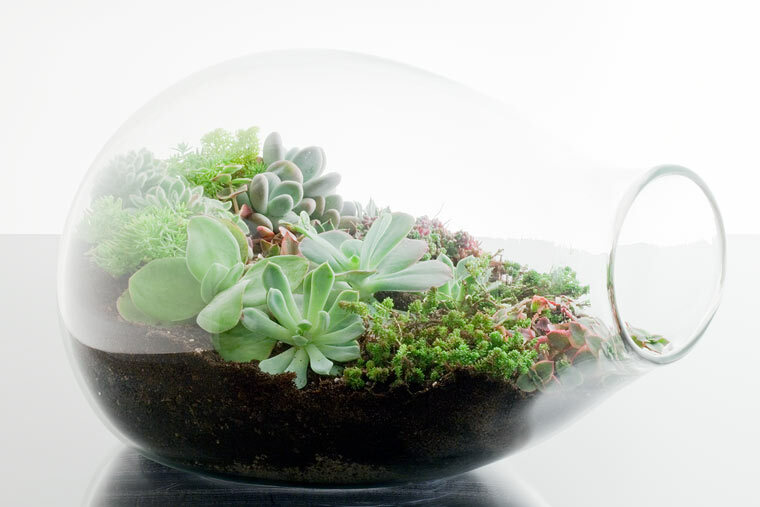 Making your own terrarium is fun and easy, and we're here to show you how to do it. Learn how to build a terrarium, how to choose terrarium plants, where to find terrarium supplies, and more. If you're just starting out, check out our step by step tutorial, How To Make A Terrarium. You can find all the supplies you need in our Terrarium Store. Or, get inspired for your next project in our Terrarium Inspiration Gallery. And if you've created a cool terrarium of your own, we'd love to hear about it! Send us an email here and you could get featured on Make A Terrarium! Thanks for visiting!